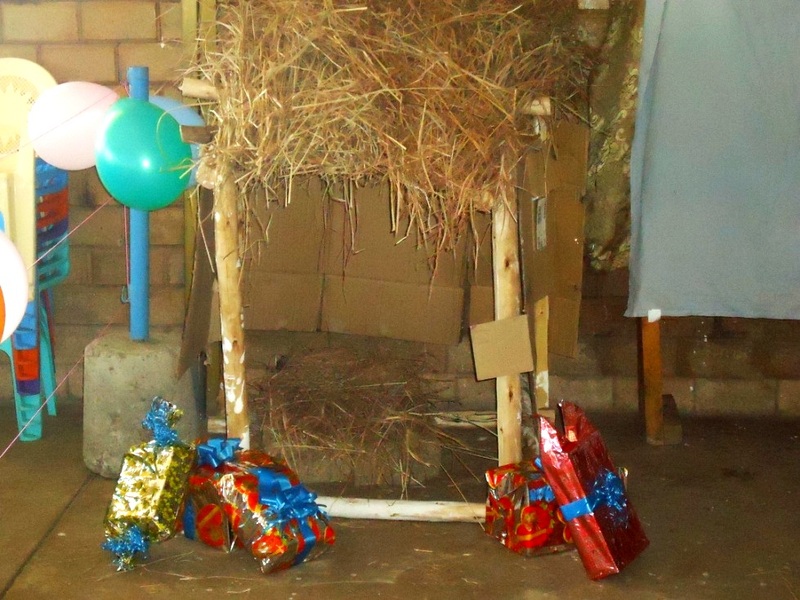 January 4th was no ordinary day for the children in the Blessing the Children program. They had yet to know the surprises the day held as they arrived to the BCI Academy for their normal activity day. 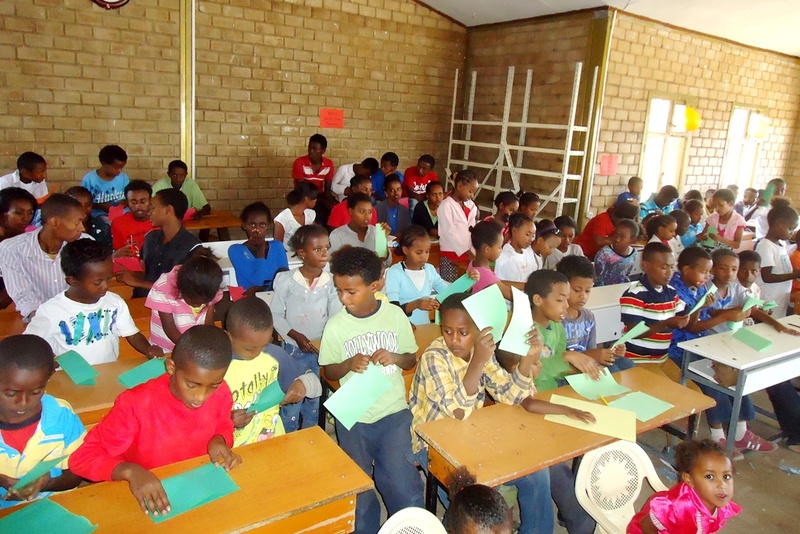 Ethiopians celebrate Genna, Christmas, on January 7th so we decided to surprise the children with a special Christmas program on Saturday, January 4th. The day approached and excitement was in the air as all of the social workers and staff members had been preparing for the big celebration day for the children. 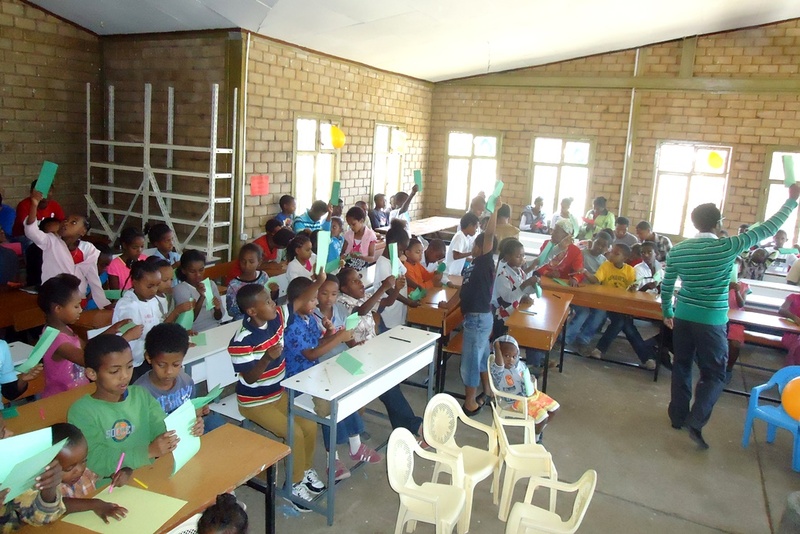 Christmas decorations, a Christmas tree, presents, food and a special Christmas message were all prepared because of the generous support of donors who wanted to share the joy of Christmas with children who live thousands of miles across the ocean in Debre Zeyit, Ethiopia. As the children arrived to the BCI Academy on the buses, the BCI staff was busy putting the final touches on the Christmas tree decorations and presents. Four women were hired to prepare the meal and they were hard at work in the kitchen. 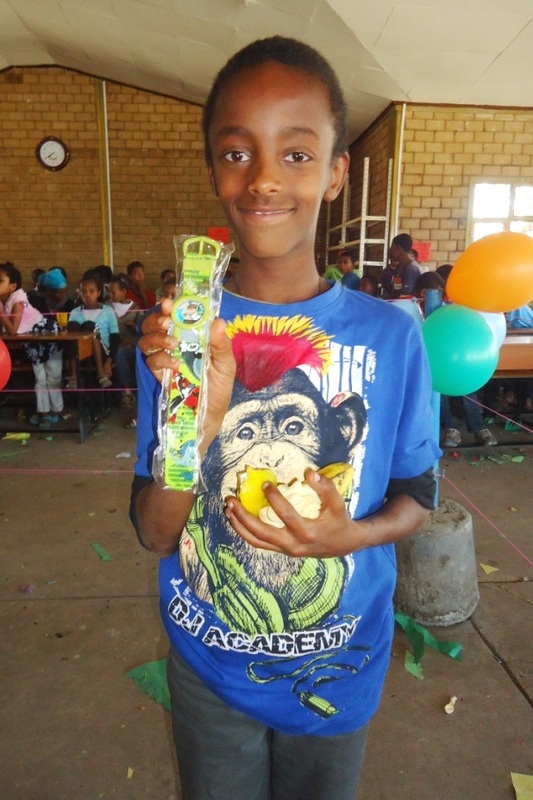 The children entered the BCI Academy and were greeted by the smell of a hot meal and all of the lovely decorations. 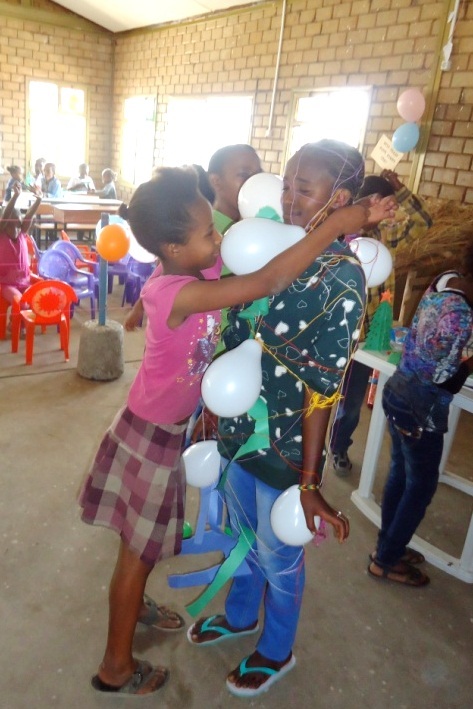 The joy, happiness and surprise on their faces was beyond measure. You could feel the excitement as the children looked around, taking it all in. The objective of the day was to share the joy of Christmas with these children, children who otherwise wouldn’t have had the opportunity to celebrate with gifts, decoration and delicious food. This also gave us the opportunity to share with these children the greatest gift of all: Jesus. It was a day in which we remember the love of our heavenly Father that brought us Jesus and with Him came joy, happiness and abundant blessings. The program began with prayer and worship songs. Worship songs were sang in both English and Amharic, celebrating our king and Savior. After praise and worship, a special message was shared by our National Ethiopian Director, Pastor Tadesse. After hearing the word of God, the children were set up at a table with craft supplies and shown how to make Christmas trees and ornaments. 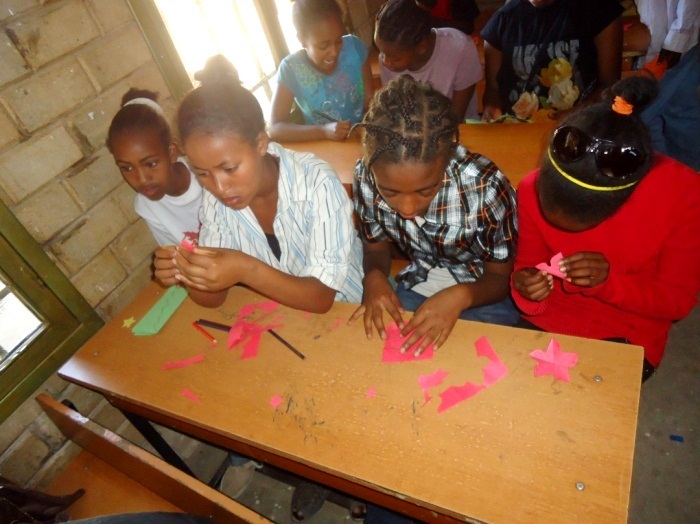 With much gusto, the children began letting their creative juices flow by cutting and decorating. 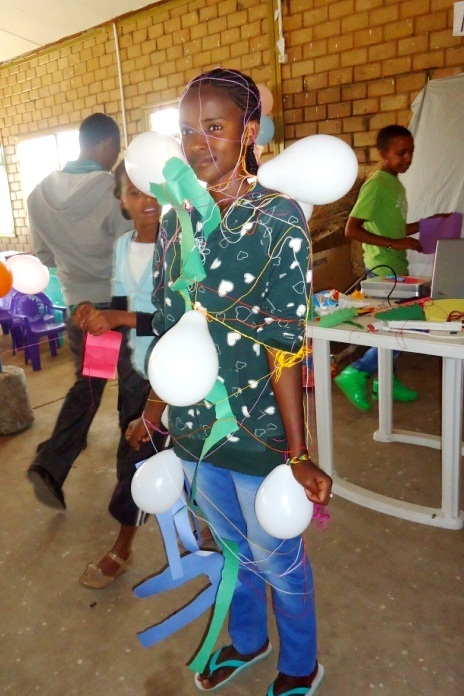 Once they were done, they were divided into groups and took turns using their decorations to decorate each other like Christmas trees. 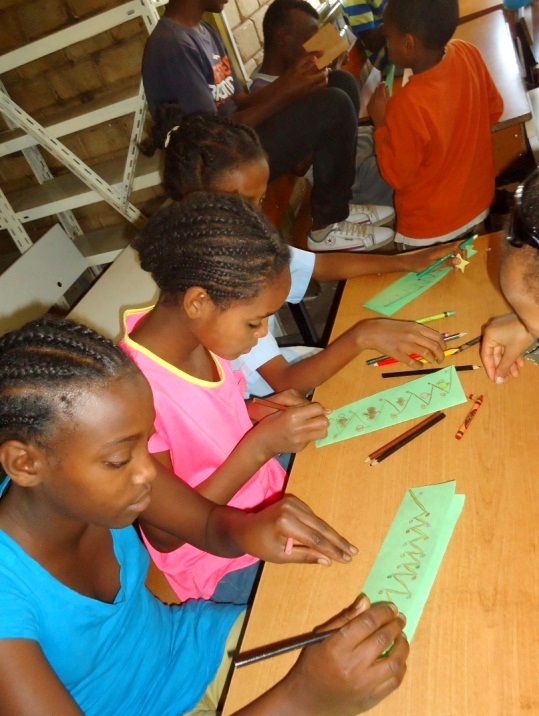 The activity was very entertaining for both the children and adults. After the craft and game was done, the children sat down and relaxed to watch a short nativity film. Following the film was the traditional bread cutting ceremony. 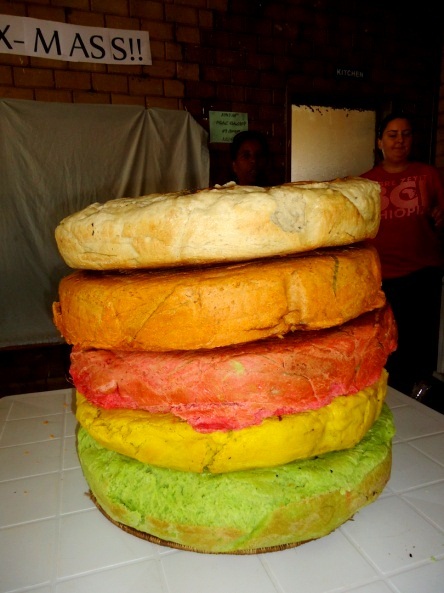 The bread, called “defo”, is made in a large circle shape and is only prepared for special ceremonies and holidays. Our bread was made in five different colors: green, red, orange, yellow and plain. Once the bread ceremony was finished, a lunch of warm, delicious lamb stew (called “wot” in Ethiopia) was served. 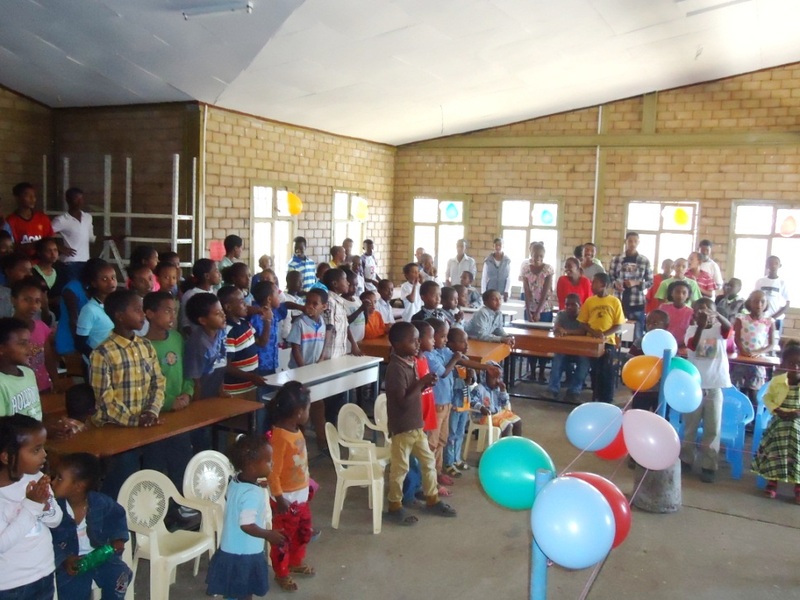 As the program was finishing up, the last activity was for the children to receive their presents. 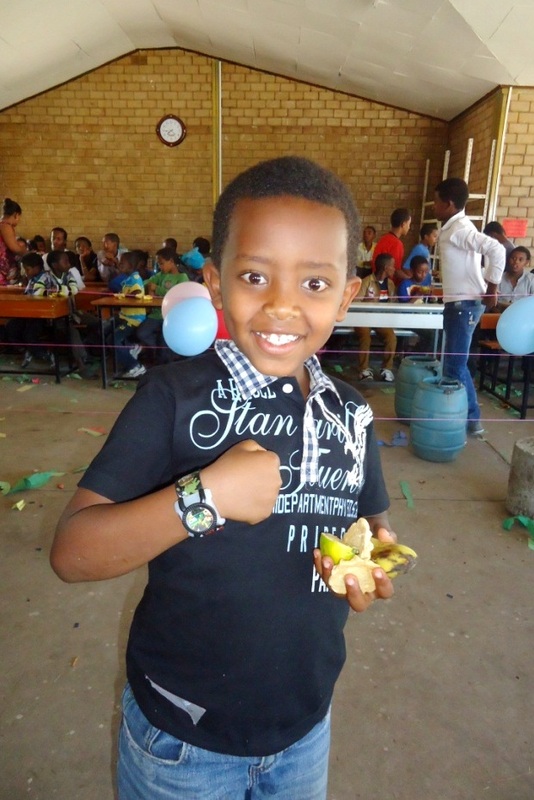 Each boy received a watch and each girl received either earrings or a tiara. Being able to provide this special Christmas Program has been a blessing to the children and also to us, as we had the opportunity to share the love of Jesus and the joy of Christmas with these children who couldn’t have appreciated it more. Thank you to all the donors who made this program possible! We couldn’t have done it with out YOU. 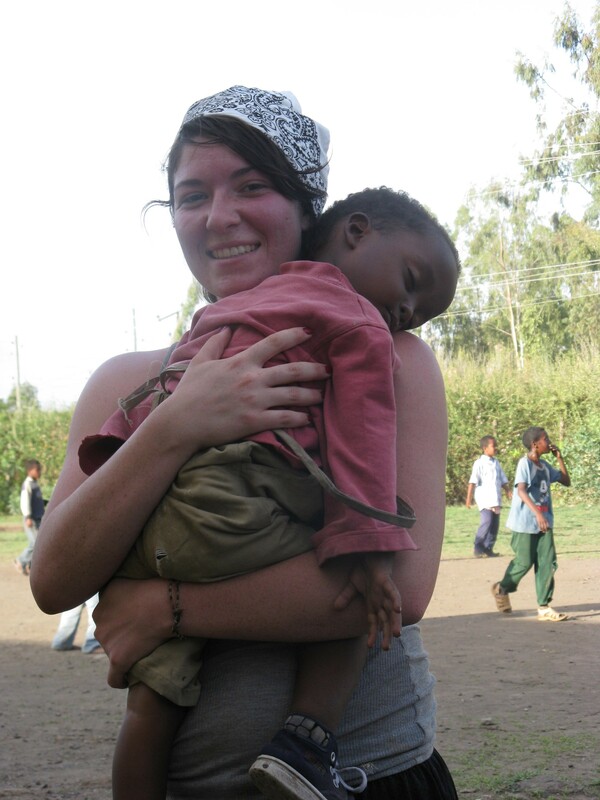 A mission trip is an amazing, life changing experience. Not only do you get to work with children and families in need, changing their lives but you’ll also find your own life changed in the process. This experience is like nothing else you will ever do in life; helping and serving people who could never repay your kindness and generosity. It is a truly selfless act. Which is why we are so excited to offer you all a chance at a mission trip scholarship to make your trip more affordable! 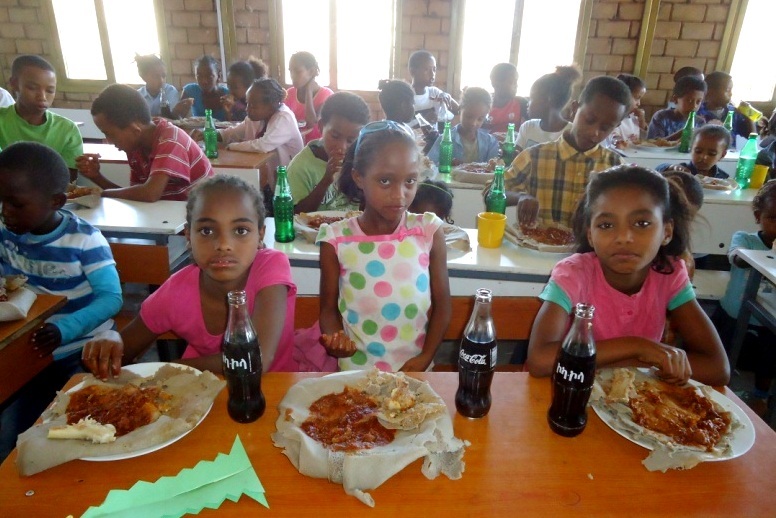 Blessing the Children has received a generous gift from a donor for the express purpose of assisting individuals who have a desire to serve with Blessing the Children in Ethiopia. With this donation, Blessing the Children will offer 3 scholarships. 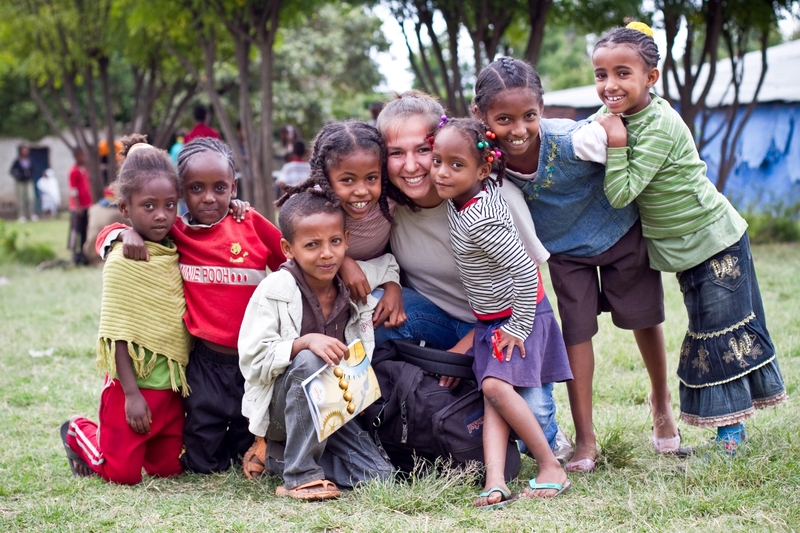 Three Available | $1,000 grant towards any mission trip taken in the 2014 calendar year. To apply, you must submit an essay. 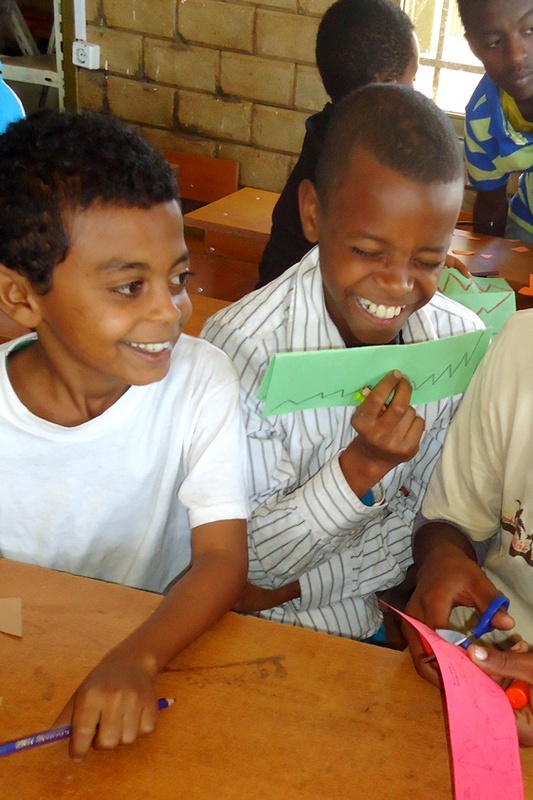 Essays should be no longer than 800 words expressing your call, passion and vision for going to Ethiopia. 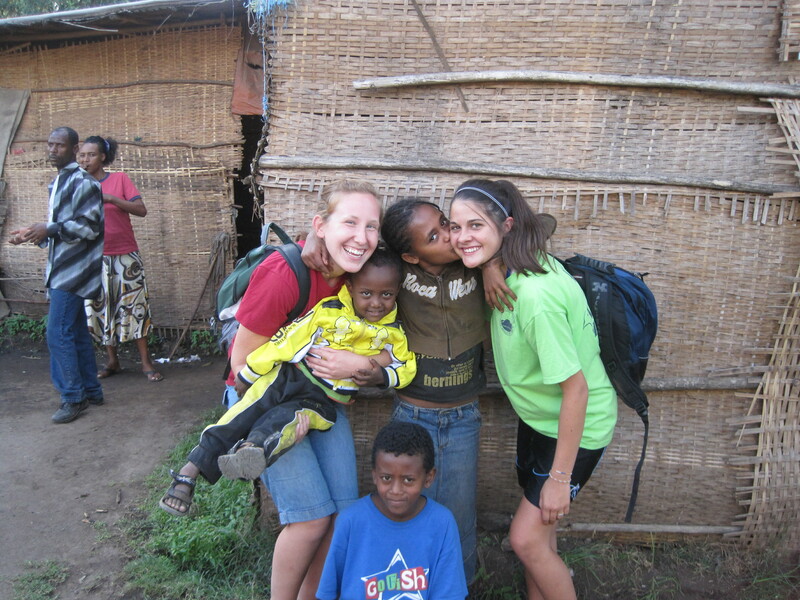 You may express what you’d like to accomplish during your time in Ethiopia, what has prepared you to make such a trip, what is leading you to serve in foreign missions and any other information that may be beneficial in helping us chose the best candidates. Open acceptance for essays will begin January 14th and will end March 14th, 2014. All essays should be submitted to Trips@BlessingtheChildren.org with the subject line “BCI Mission Trip Scholarship Essay”.